The Research and Development Cell (RDC) at IIST has formally inaugurated their state-of-the-art “iOS Development Lab” by their Honourable Chairman Shri. Roshan Agarwal, Mentor Shri. Murlidhar Agarwal and Shri. Arun S Bhatnagar, Director General, IIST, IIMR, IIP, group of institutions on 10.7.18. The RDC has also announced the setup of a dedicated Innovation Lab named Innovators Hub (H!) and the formation of a Special Interest Group (SIG) on iOS Development. This SIG will focus on building a platform for the students and faculty members to develop innovative solutions for the iOS platform. Dr. Raghuveer, Dean Academics and Research stressed the importance of exposing the students to the iOS application development as there is a surge in the usage of iPhones in India. He mentioned that, “Apple has recently opened its accelerator facility in India wherein it supports the developers through one to one interactions with the Designer and Development team from its company. It has also opened a dedicated development facility in Hyderabad to work on its Maps application. 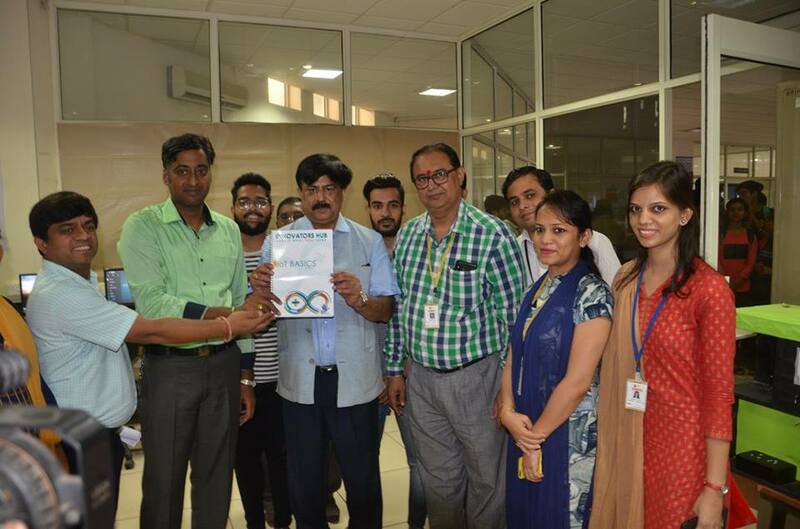 These facilities give the opportunity to the engineering students to expose their talent and come out with innovative solutions that can secure them a career opportunity with the tech Giant.” He also added that the students can better understand the requirements and build the applications that can cater the Indian Customers.